Looking to save at America’s favorite breakfast diner? 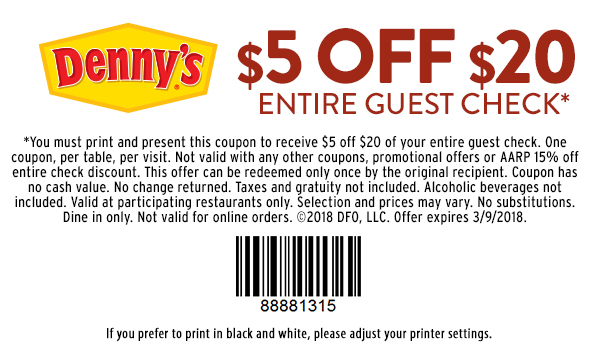 We have the best printable coupons and codes to save on your next meal at Denny’s restaurants. Denny’s is known for their breakfast, but they also serve lunch and dinner entrees as well. Some of the most popular items they offer are their Grand Slam breakfasts and Moons Over My Hammy.